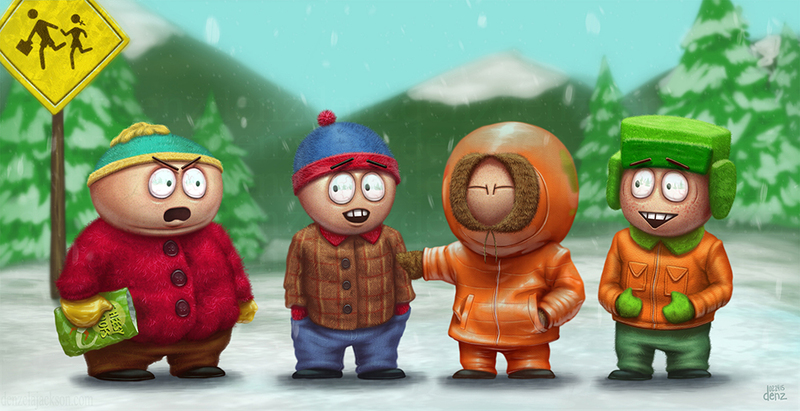 Wuduup, South Park has been one of my favorite shows for a very long time, from the days of taking LSD at the Oscars, to celebrating Obama's presidency, and dispersing the truth with Go Fund Yourself. While it is ridiculous and can be described as juvenile, it occasionally brings up many good topics to discuss that play big roles in society. Thank you to the South Park team, I hope we get to see the show rock 20 good seasons! I really love your art, bruh! That fanart is really sweet. And your other art is amazing too! I'm gonna like your FB page asap! SpookyRedneck wrote: I really love your art, bruh! Wow! That's really good. Also a bit creepy. Especially Kyle. It's a little freaky, but really well drawn.